On 7 and 8 November 2017 the closing days of the Mediterranean City to City Migration project (MC2CM) project were held at the Beit Beirut Museum, which is also known as the “yellow house”, a place which is both an architectural landmark and a historical symbol of the life of the inhabitants of Beirut. Marked by its history, this building, which is in the middle of the boundary that existed between East and West Beirut during the Lebanon War, has now been turned into a genuine public space for exchange and culture. This high-level conference gathered together 80 representatives of local and national governments, NGOs, international organizations, the European Union and the Swiss Agency for Development and Cooperation to present the findings of the first phase of the project and start a discussion on the future of urban migration in the Mediterranean region. Jamal Itani, Mayor of Beirut and the conference host, opened the session by calling attention to the importance of the urban dimension of the migration phenomenon and highlighted the specific challenges that Beirut faces, issuing a call for action to address them. The representatives of the project partners, Michael Spindelegger, the Director General of ICMPD, Raf Tuts, director of the Programme Division of UN-Habitat, emphasized the importance of a project like MC2CM in shedding light on the tangible link between migration and urbanization, which is widely acknowledged to exist and comes with its own challenges. Head of Section of the EU delegation to Lebanon, José Luis Vinuesa Santamaria, expressed the European Union's willingness to provide support to address these challenges and implement actions and initiatives coordinated on the ground. Yousef Al Shawarbeh, Mayor of Amman, Mauricio Valiente, Deputy Mayor of Madrid, Naima Ibn Aboud, Deputy Mayor of Tangier, Abderrazak Bouziri, Deputy Mayor of Tunis, Anna Merlin, advisor to the metropolitan city of Turin, Ali Belhaj, Director General of the National Migration Observatory in Tunisia, Souad Zaidi, Deputy Mayor of Rabat, Alberto Laplaine Guimaraës, Secretary General of the city of Lisbon, Simone Troller, from the Swiss Agency for Development and Cooperation, Alberto Avetta, President of the National Association of Italian Cities (ANCI-Piémont), Fouad El Omari, President of the National Association of Communes in Morocco, and Khalil Choucair, Member of Beirut City Council. 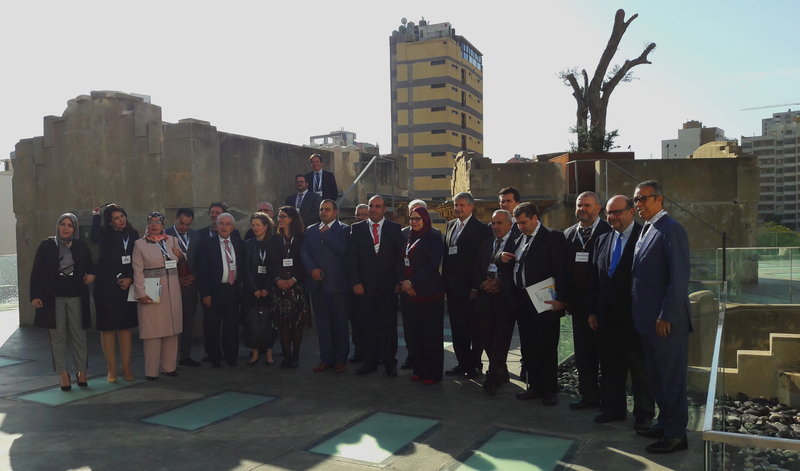 The purpose of the conference was to enable the attending mayors, national representatives and experts to look back over past activities, to discuss the findings and recommendations of the MC2CM project, and also to start discussions on putting the relations and implemented activities on a permanent footing, thereby laying the groundwork for the next phase of the project, in which cities will leverage their unique role to enhance the benefits of migration, at the local and national level. 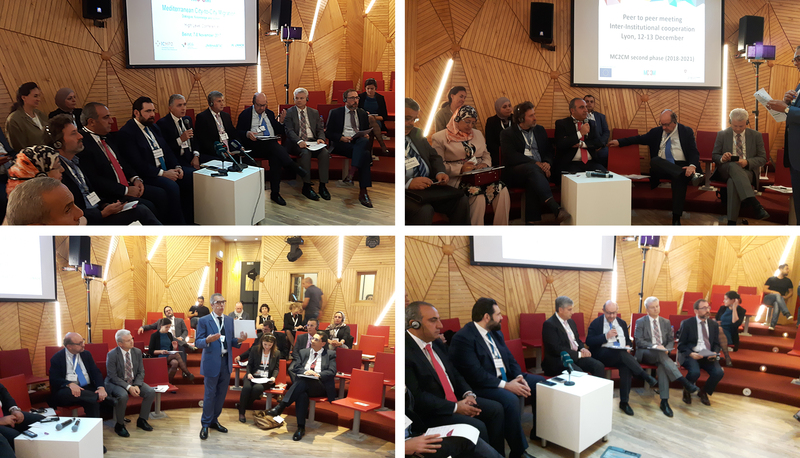 During this conference, the Mayors, national representatives and experts had the chance to discuss the findings and policy recommendations of the MC2CM project, which were drawn up on the basis of knowledge generated by the project and which should be adopted by the end of 2017. The findings also build upon existing declarations and commitments, including the New York Declaration, the 2030 Sustainable Development Agenda and the New Urban Agenda. The conference also paved the way for the second phase of the project, in which cities will use their unique role to enhance the benefits of migration, at the local and national level. The speakers also called for more concrete and coordinated action, as well as resources for cities and governments which would enable them to manage migration effectively in their cities. The MC2CM Project is both an example of cities’ political commitment to guaranteeing the right to the city for all and of the support that international organizations can provide in order to encourage dialogue, exchange and learning among cities, by creating a united community of practice in order to better influence international debates together. During the Conference, the MC2CM network presented the member cities’ 9 urban migration profiles, documents which enable each city to better understand the reality of migration on their territory. The facts and data which have resulted from this work support local and regional governments’ stance that their voices should be taken into account when defining and implementing national migration policies, global commitments and regional guidelines. These elements are essential for fostering dialogue between national and local authorities with a view to implementing effective public policies. These are the messages which UCLG will convey in connection with the global compact for safe, orderly and regular migration in 2018, which is currently being discussed in the United Nations. The MC2CM project city network will meet in Lyon on 12 and 13 December. 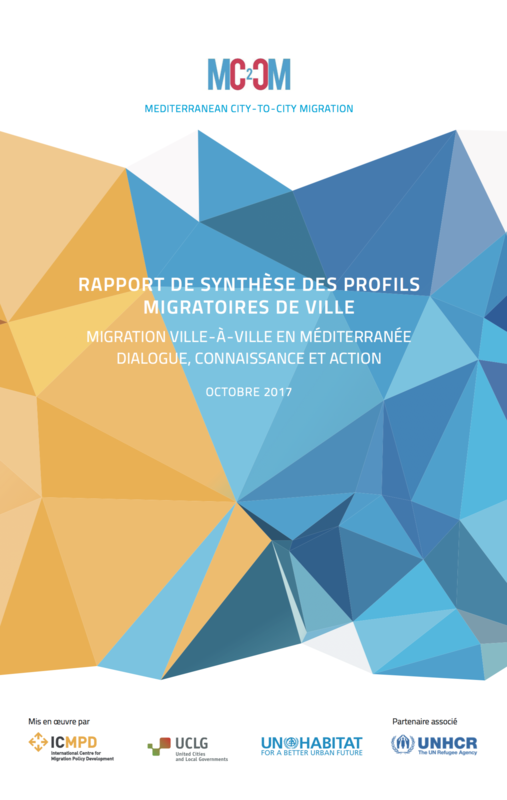 Read the report (french, spanish) and the summaries of the 9 profiles for Amman, Beirut, Lisbon, Lyon, Madrid, Tangier, Tunis, Turin and Vienna. Read the Policy Recommendations Urban Challenges and Opportunities for the Mediterranean Region.